Problems with toxic endophyte-infected tall fescue usually come front and center in the heat of summer when cattle body temperatures rise and blood flow is reduced. Severe cold temperatures can also be cause for concern. “We’re getting reports of ‘fescue foot’ causing loss of cows,” says Craig Roberts, University of Missouri extension forage specialist. “In one case, a Missouri producer lost five cows out of a herd of 30,” he reported in a University of Missouri news release. During extreme cold weather, there is natural restriction of blood flow in body extremities to minimize heat loss. Additional restriction caused by the fungal toxins reduces blood flow too much and may cause gangrene. Furthermore, when an animal's body temperature is such that it makes it uncomfortable (hot or cold), forage intake is reduced. The problems associated with Kentucky 31 tall fescue have been known for many years, but the cause has only been known since 1977 when the endophyte fungus was discovered. The constriction of blood vessels causes heat stress in the summer, and animal performance can be drastically reduced. Though there are ways to mitigate or minimize the effects of toxic fescue, the only way to eliminate the problem is to renovate pastures with novel endophyte varieties of the grass. These relatively new varieties still contain a fungal endophyte needed for plant persistence, but it is harmless to cattle. 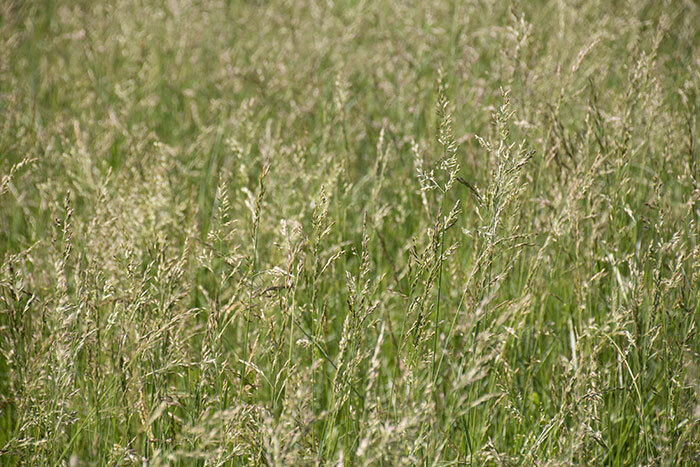 Roberts explained that pasture renovation usually involves a one-year process whereby the toxic fescue stand is killed with an herbicide and then planted to a summer annual “smother” crop. Though fescue foot is one of the more dramatic effects of toxic tall fescue, other impacts such as lower daily gains and early pregnancy abortions cause much greater financial loss, says Roberts. Each school runs 9 a.m. to 5 p.m. Advance registration is required for limited seating at all schools. Details are at www.grasslandrenewal.org.